【Visitors】Japanese and exchange students of universities in Kyoto visited Murin-an to learn about Japanese culture and aesthetics. 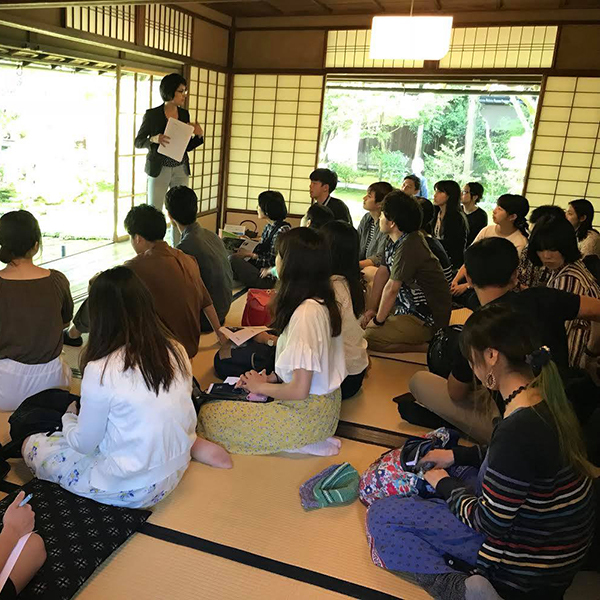 After an English workshop by The Consortium of Universities in Kyoto, our staff held a bilingual introduction lecture to Japanese gardens and guided the students through the garden and tea house. We hope the students will remember today’s experience and that they may share their impressions of Japanese aesthetics culture whenever travelling abroad.